With Rudy teething and nursing a sore throat, we decided to make some cold treats. 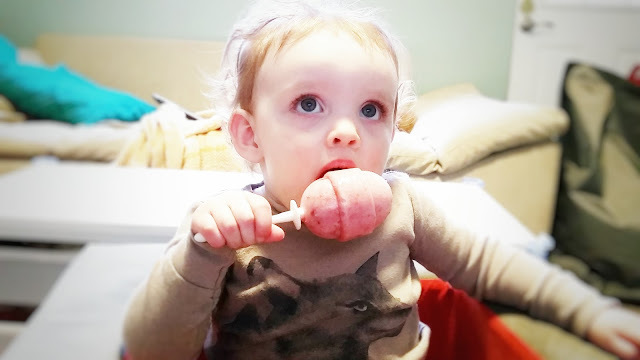 We're a big smoothie family (ever since they saved me during pregnancy) and when we dug up our old popsicle molds we decided to make smoothie popsicles. Normally, we like to throw some leafy greens in our smoothies so we feel a little healthier, but for these popsicles, we just wanted them to taste yummy! We popped some frozen strawberries, probiotic yogurt, milk and a splash of vanilla extract (we rarely measure amounts) into the blender and blended until smooth. Then we poured the mixture into molds and added some chopped fresh strawberries for texture. The result was yummy and a big hit! Our popsicles were a little big and heavy for Rudy so I think we're going to buy these for next time. When she's bigger, I can't wait to try these! 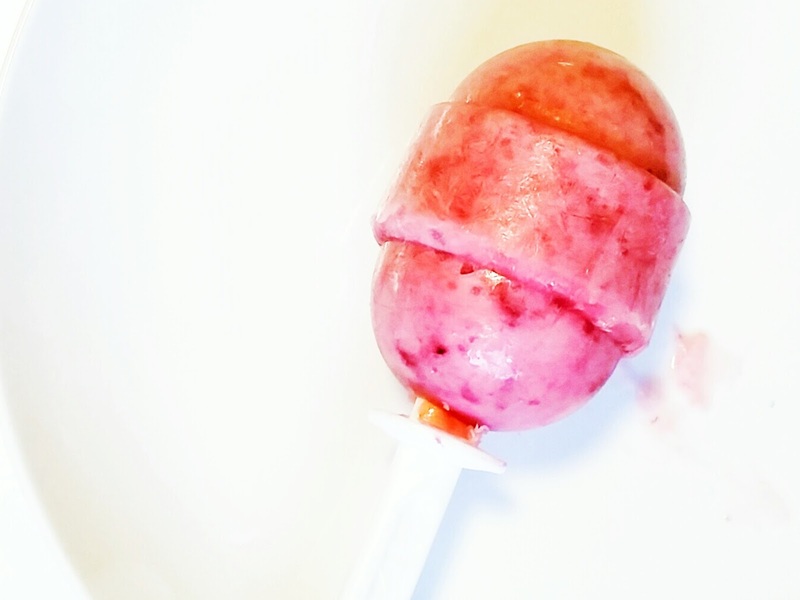 For some other yummy sounding popsicle recipes, check out these and these! And check out this poor little sicky enjoying her treat while watching some Bubble Guppies. "LIKE" FRESH COAT OF PAINT ON FACEBOOK! This Blog claims no credit for any images posted on this site unless otherwise noted. . Simple theme. Powered by Blogger.